Discovery is the primary focus of version 5 of Wikipedia. 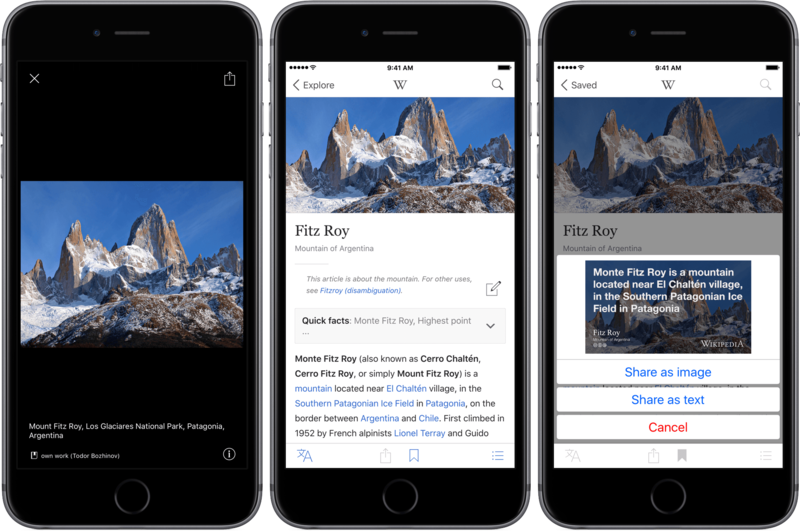 The app starts in the Explore tab, a new section that includes suggested articles based on your past searches, featured articles, top read articles, a picture of the day, 'today on Wikipedia,' a random article and articles for places near you. Each item in the Explore tab is an article excerpt that includes an image and the first paragraph of the article. That's a lot of content and consequently, a great place to find something interesting to read. You can tap the article to go to the full version or tap a 'Save for Later' button, which saves the article under the app's Saved tab. There is also a History tab with a list of each article you have viewed. Article navigation, share-a-fact, and Spotlight search. I also had some trouble initially with location-based articles. I installed Wikipedia when I was in downtown Chicago and the Explore tab included articles for landmarks nearby, but when I got home to the suburbs, the articles didn't update. I could use the 3D Touch shortcut from the app's icon to search for articles about landmarks near my home, but the Explore tab refused to update based on my location until the next morning. Since then, Wikipedia seems to be updating my location more frequently. The official Wikipedia app has come a long way. Discovery and exploration are both excellent and the reading experience is much improved. There are third-party apps that focus on things like location-based discovery, but Wikipedia's official app does an admirable job of facilitating free-form exploration based on search, your interests, serendipity, and location all at one time. Despite a couple bugs, Wikipedia has become a versatile tool for research or just exploring the world around you. 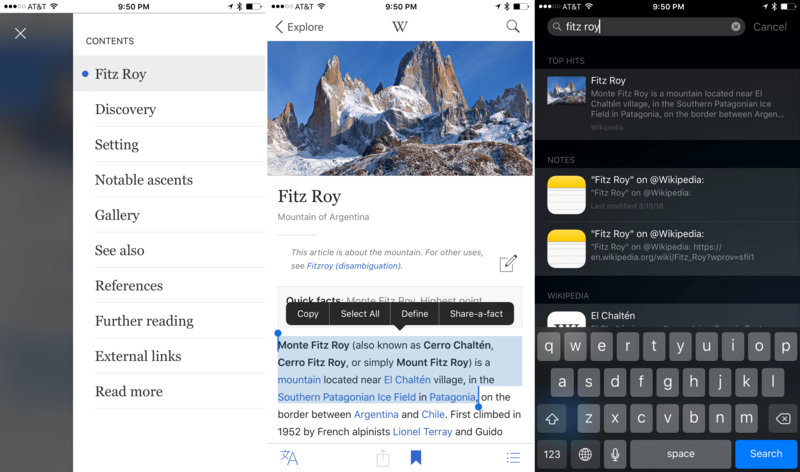 Wikipedia is available for free on the App Store.